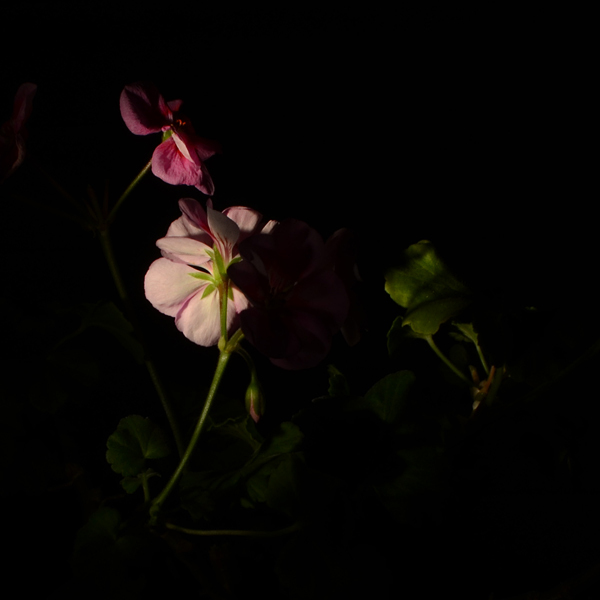 - makes a dramatic play of highlights and shadows. Cameras can create images that the human eye could never perceive. 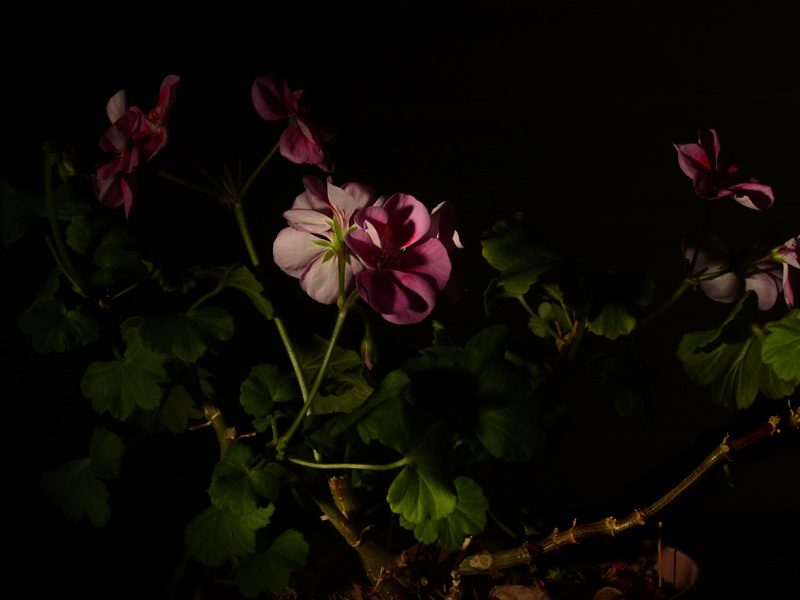 With no other light source except a flashlight beamed around the blossoms of the plant, and with the camera set to make a long enough exposure, the geranium plant becomes a dynamic sculpture in color and texture.